Knott’s Berry Farm Fans! Now is the time to either renew or purchase a new 2019 Knott’s Berry Farm Season Pass! The 2019 Season Pass offers unlimited admission during the 2019 season with no blackout dates. Yes, you heard that right…no blackout dates! 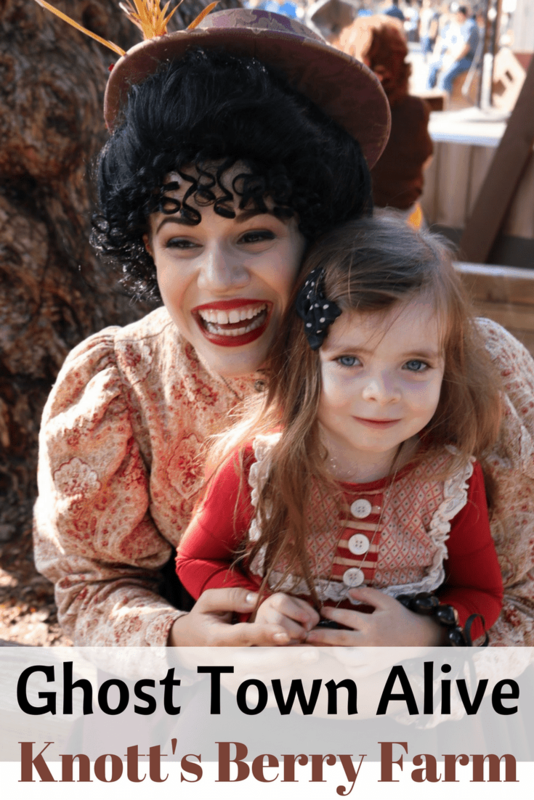 A Knott’s Berry Farm Season Pass also comes with an entire year of “Knott‘s Seasons of Fun!” Here’s just a few examples of what you will enjoy. 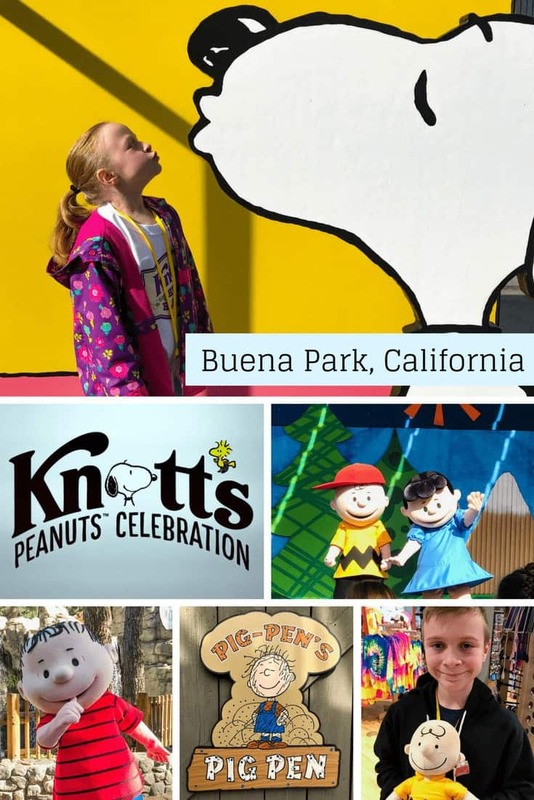 In January, Southern California’s favorite theme park kicks off the new year with Knott’s PEANUTS Celebration. During the weekends-only celebration, guests can enjoy comic style selfies, deliciously themed-treats, new whimsical shows and meet and greet sessions with members of the PEANUTS Gang, including Snoopy! 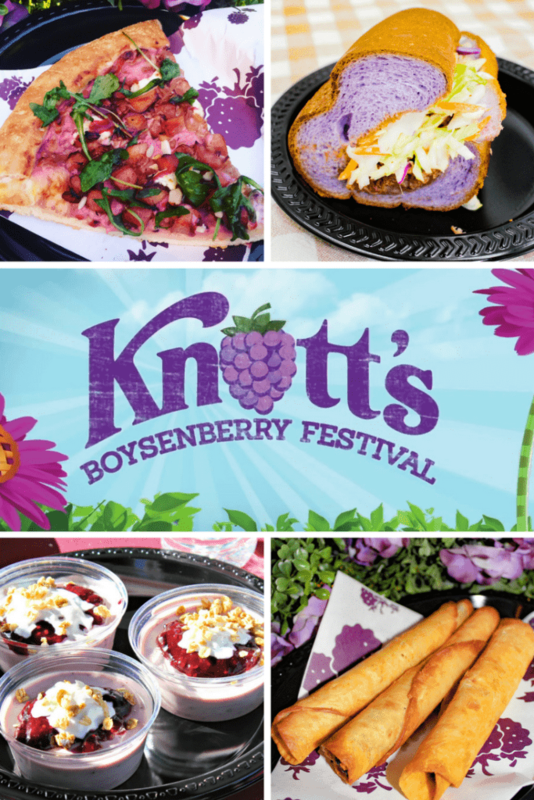 In the spring, is the world-famous Knott’s Boysenberry Festival that takes place in the spring. During the festival, the entire Farm is decked out in 100% boysenberry fashion! From endless boysenberry food pairings to boysenberry photo ops to a highly contentious boysenberry pie-eating contest, there is something for every boysenberry fan. During the summer, you can upgrade your season pass to include unlimited visits to Knott’s Soak City. With the park’s newly expanded 15 acre property, including 2 new water slide towers with 7 new water slides, you are bound to have fun all summer long. Every summer Ghost Town Alive! returns to Knott’s Berry Farm complete with bandits, cowboys, robberies, judges, a good ol’ western hoedown, and much more! Guests can visit the beloved town of Calico and experience an authentic western adventure by becoming a star in this summer’s story of the Wild West, where the power to unlock adventures is in your own hands. 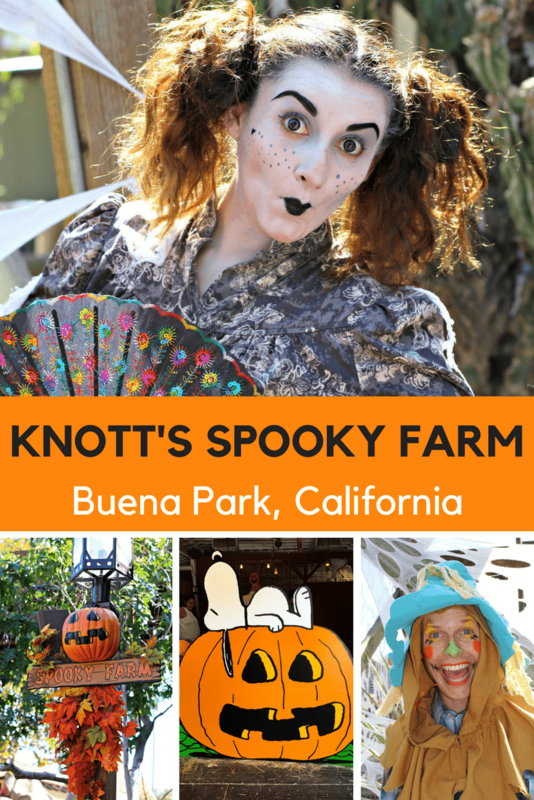 In the fall, season pass holders are invited to attend Knott’s Spooky Farm, the theme park’s annual Halloween family-friendly celebration. This daytime event is a non-scary celebration of cheer rather than fear with shows and activities geared for kids ages 3-11. Join in the Halloween fun at 5 different areas within the park – Ghost Town, Calico Park, Fiesta Village, Boardwalk Ballroom and Camp Snoopy. This special limited-time event serves up live entertainment, trick-or-treating, a costume contest and exclusive festivities tailored just for little ones. 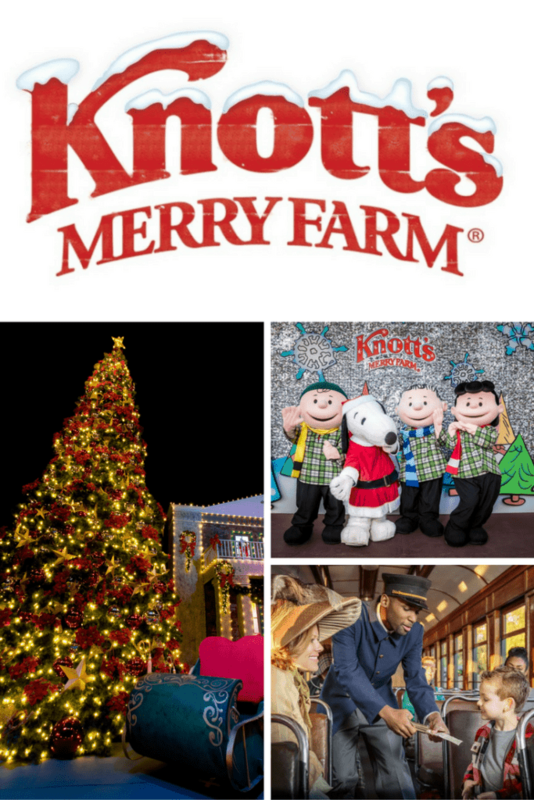 During the holiday season, Knott’s Merry Farm includes park-wide lavish decorations, live entertainment, festive food and a shopping wonderland filled with local artisans. Take in a performance of the ever popular Merry Christmas Snoopy! ice spectacular inside the Charles M. Schulz Theatre or watch Charles Dickens’ A Christmas Carol or O. Henry’s A Gift of the Magi at the historic Bird Cage Theatre in Ghost Town. When the sun sets on the Farm, be amazed as the Calico Stage light ups with the celebration of the season in Snoopy’s Merriest Tree Lighting. The show features a beautiful tree lighting ceremony with Toy Soldiers, Snowmen, Elves and of course, America’s most famous beagle, Snoopy. Then, to celebrate the end of your day, hop aboard Engine 41, a vintage railcar, and meet an ever-changing group of Ghost Town residents eager to share their Christmas plans and songs with you. With a Knott’s Berry Farm 2019 Season Pass, you can visit the park any time you want! You will also receive numerous season pass benefits including discounts on select food, merchandise, Knott’s Scary Farm admission and stays at the Knott’s Berry Farm Hotel. Plus get early summer admittance and special discounts on bring-a-friend days. A Knott’s Berry Farm Season Pass is one of the least expensive entertainment tickets in Southern California! $95 Total or 8 payments of $10.00 (after initial payment of $15 due on day of purchase). $115 Total or 8 payments of $12.00 (after initial payment of $19 due on day of original purchase). 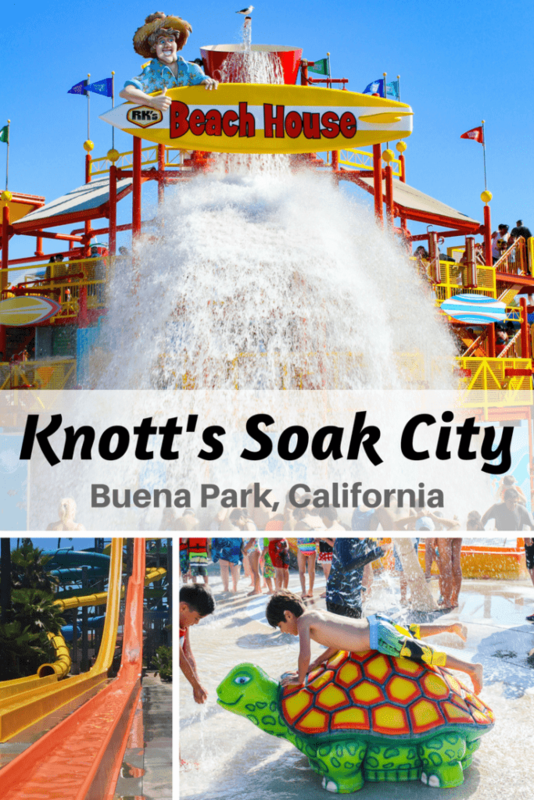 Enjoy unlimited visits to Knott’s Berry Farm and Knott’s Soak City Waterpark all season long. $200.00 Total or 8 payments of $21.50 (after initial payment of $28 due on day of original purchase). Ages 3-61, 48” or taller. $186.00 Total or 8 payments of $20.00 (after initial payment of $26.00). Ages 3 & up; under 48″ tall / Ages 62 & up. Enjoy all the benefits of the Gold Pass plus free parking with the added benefit of enjoying all of those exclusive privileges at all Cedar Fair Parks across the country in 2019, including California’s Great America, Cedar Point and more! But what if you are a current Knott’s Season Passholder? What do they have for you? The good news is that the Knott’s Season Passholder Renewal price is less expensive than purchasing a new one. $85.00 Total or 8 payments of $9.00 (after initial payment of $13.00 due on day of renewal). $105.00 Total or 8 payments of $11.00 (after initial payment of $17.00 due on day of renewal). $194.00 Total or 8 payments of $21.00 (after initial payment of $26.00 due on day of renewal). $186.00 Total or 8 payments of $20.00 (after initial payment of $26.00 due on day of renewal). 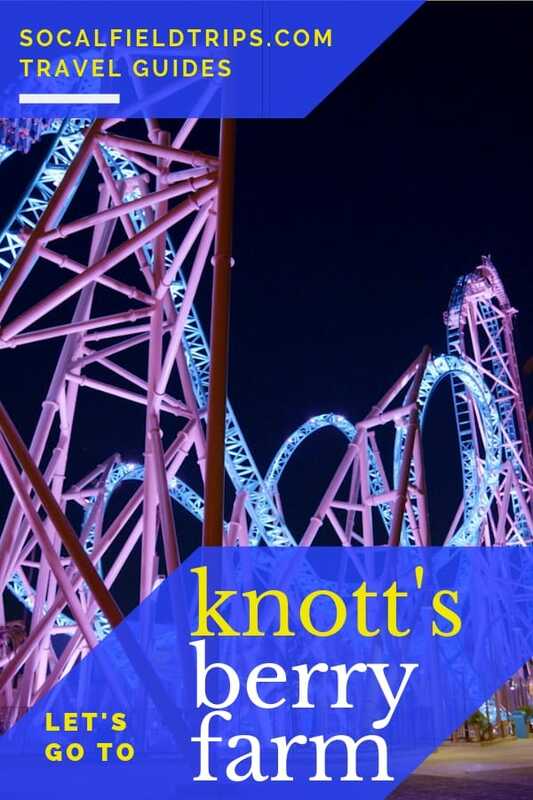 To learn more about Knott’s Berry Farm, visit www.knotts.com. They have monthly payment plans.